My four days at Dharamshala was a very pleasing and memorable experience. I had a chat with Nandy (the guy with whom I did the North-East ’14 trip and the Vietnam ’15 trip). He had been to the place before and mentioned that he could stay there for weeks and not feel bored. I agreed with him. Ganesh had been a nice host. He gave a lot of pointers and some of them were really helpful. After all, he has been in the business for the last 10 years. 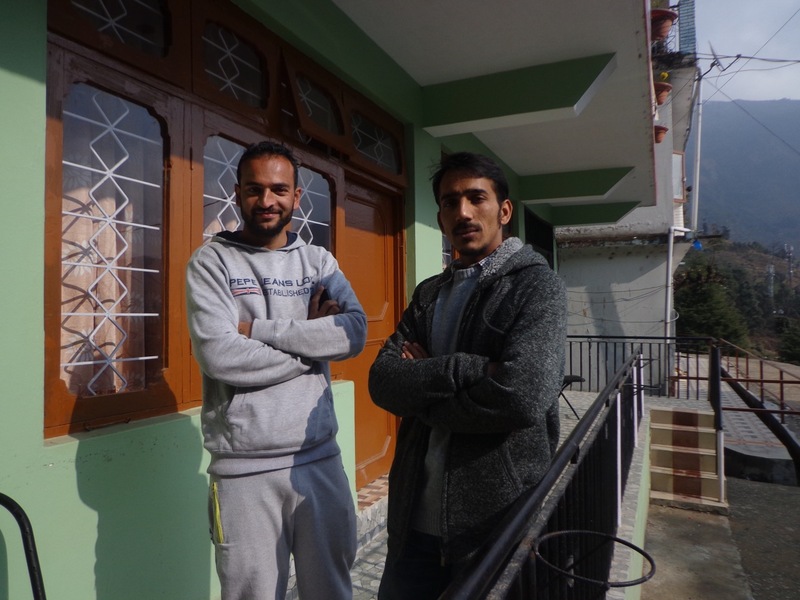 Vinay and Ganesh posing in front of the staff room of Backpackers Inn. At Dharamshala bus stop, I had two choices. I could either move towards Kangra or head towards Palampur, which would be on my way towards Mandi. I decided to take a detour to Kangra. It took me one hour to reach Kangra. I had my lunch in a small shop at Dharamshala bus stop. Kangra is not frequented by travellers like me. The tourist crowd mostly consists of religious pilgrims. I got a room near the new bus stop. For 650 rupees, it is one of the worst I have seen. Probably, last year’s hotel at Kohima may give it a tough competition. 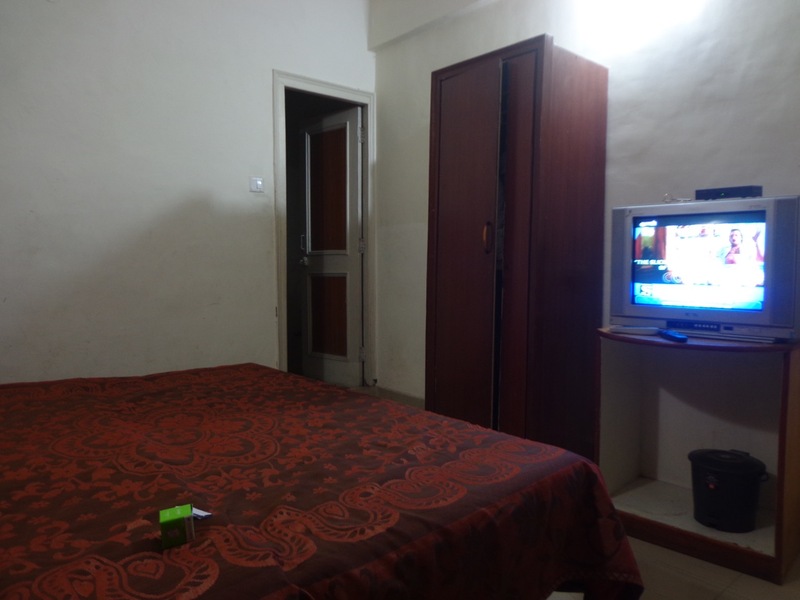 This is room 103 of Hotel Yatrika. The board declares in a relatively large font, “Government Approved”. I dropped my bag and rushed out. (I did not even waste two minutes). 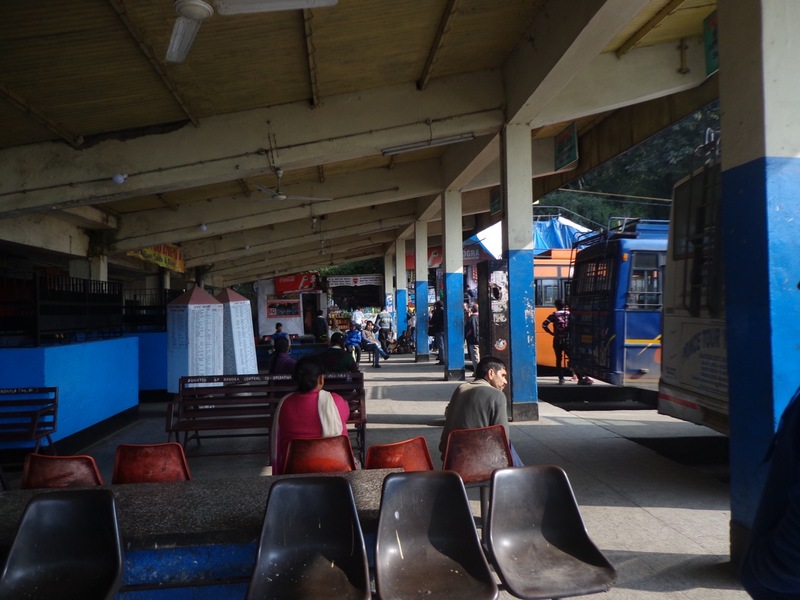 I caught a bus and got down at a place where NH 503 meets the Baner Khad. 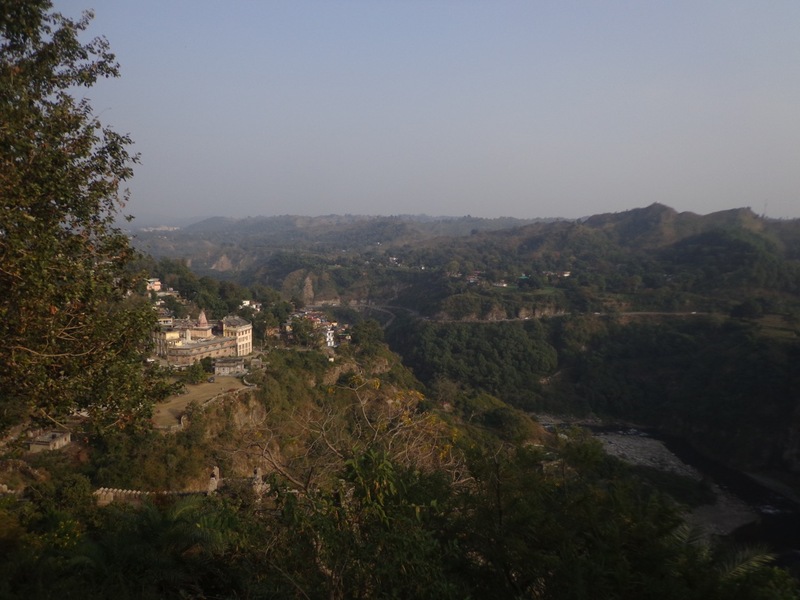 This junction is about a kilometre from Kangra Fort. The fort is now in rubbles. The 1905 Kangra earthquake had destroyed it along with older structures like St. John’s Church in the wilderness I had visited yesterday. The monarchy and history of the Kangra region passes through multiple people and lineages in power. 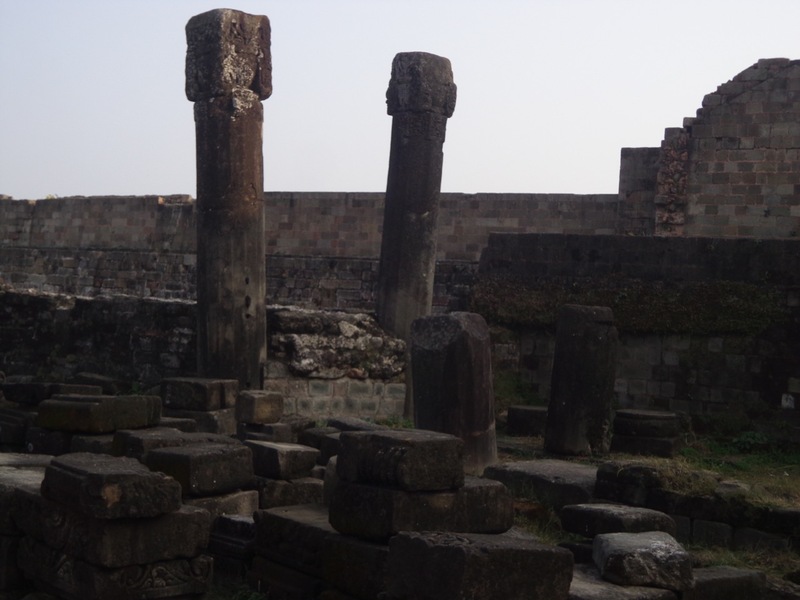 The fort was built in 1500 BCE. 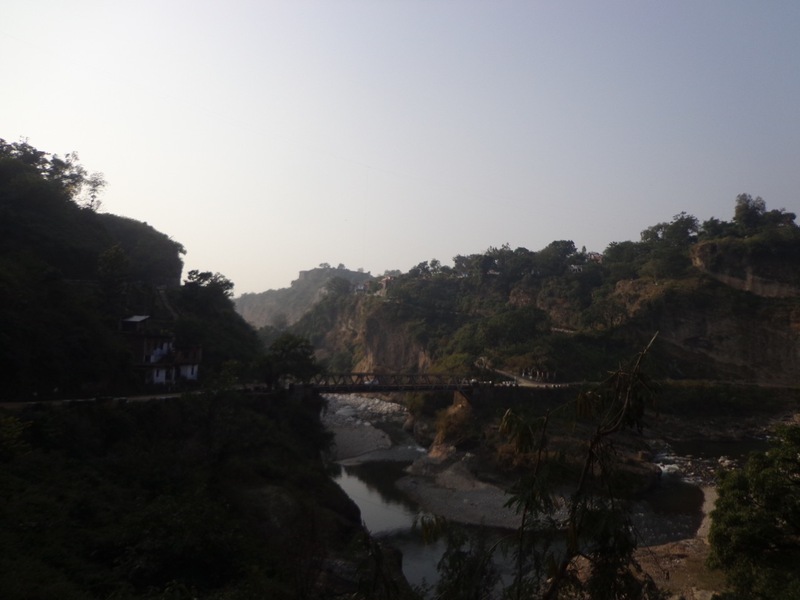 The fort on the hilltop is visible from Baner Khad. The 1905 earthquake had reduced the fort to rubbles. 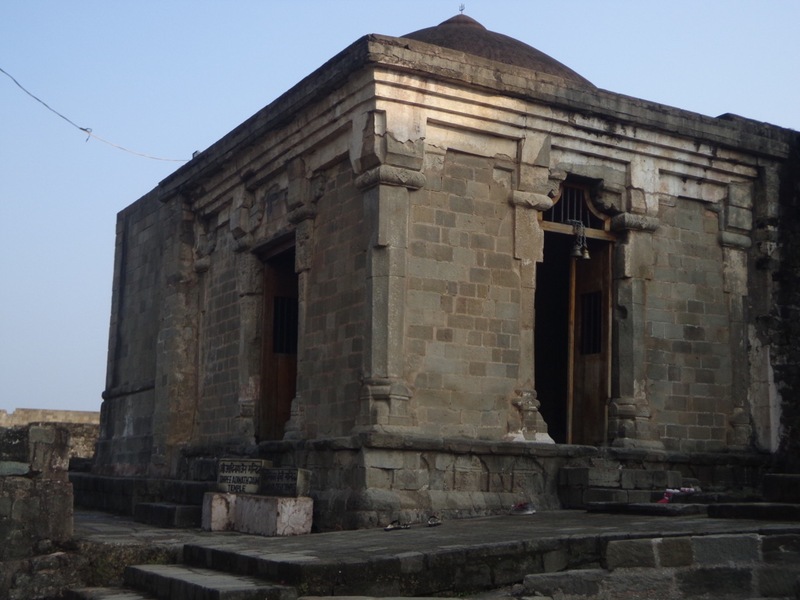 Adinath Jain and Ambika Devi temple inside the fort. Kangra Valley and NH 503 visible from the top of the fort. 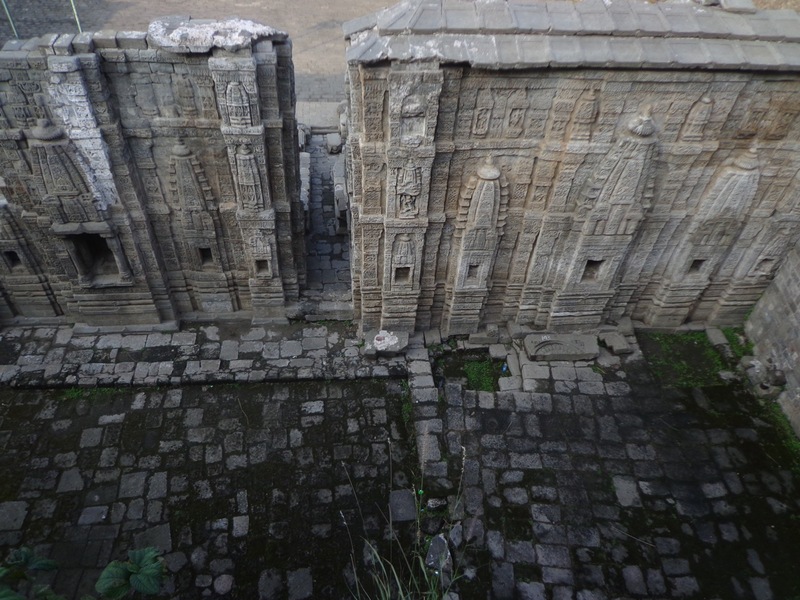 The remains of Laxminarayana temple. 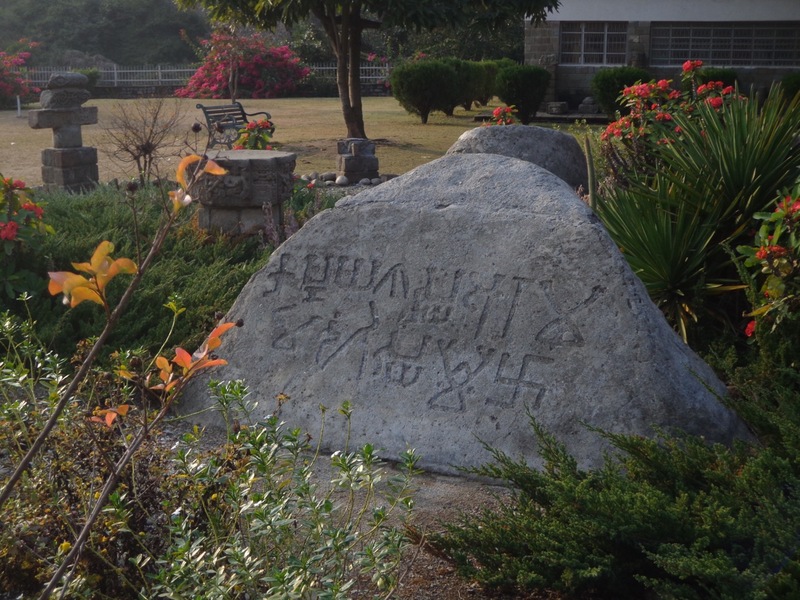 A stone with inscriptions. The lack of labels inside the fort doesn’t help. I couldn’t find out what script it was in. There is a small exhibit inside the fort compound by ASI. There is also a private exhibit known as Maharaja Sansar Chandra museum adjacent to the fort that is run by the royal family. Photography was prohibited at both places. 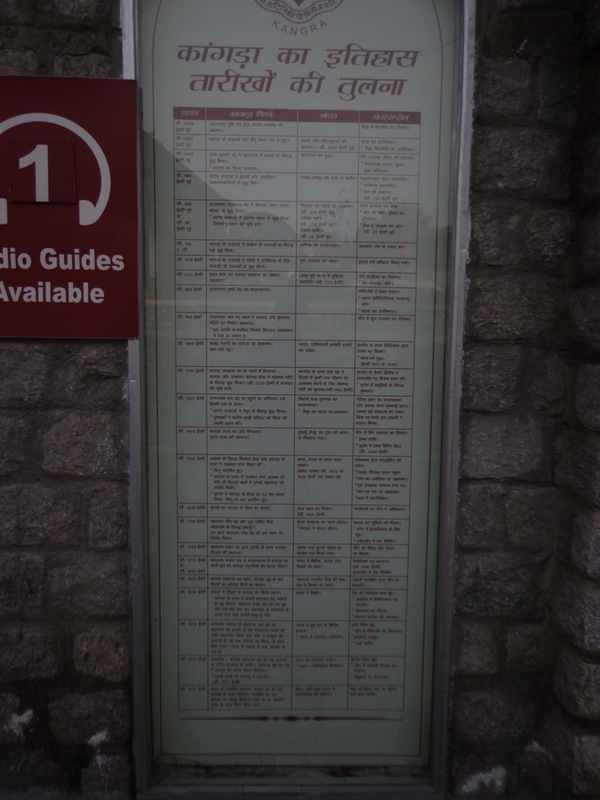 The latter had a nice printed timeline of Kangra’s history. The history was also available in English but droplets of condensation made reading difficult. 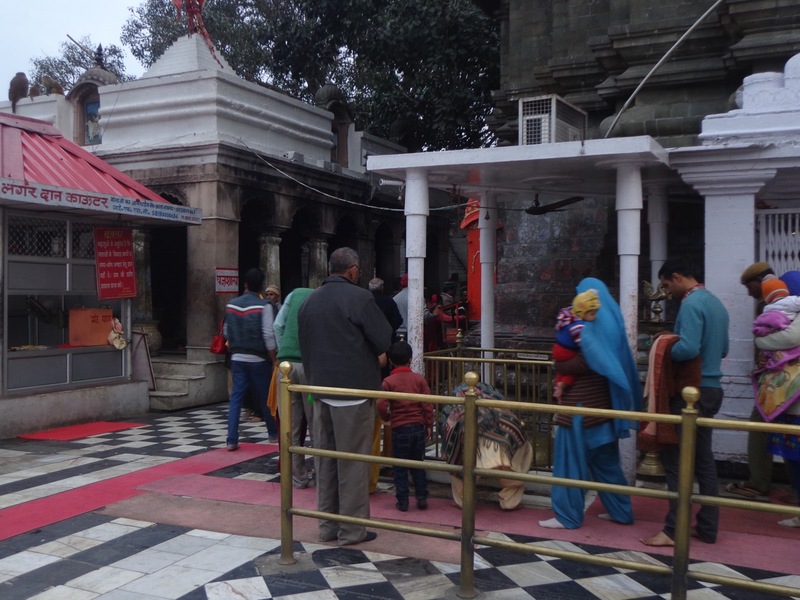 Kangra is known for its Brajeshwari Devi temple. It is a mainstream attraction. Even in this off season, there were a considerable crowd inside. 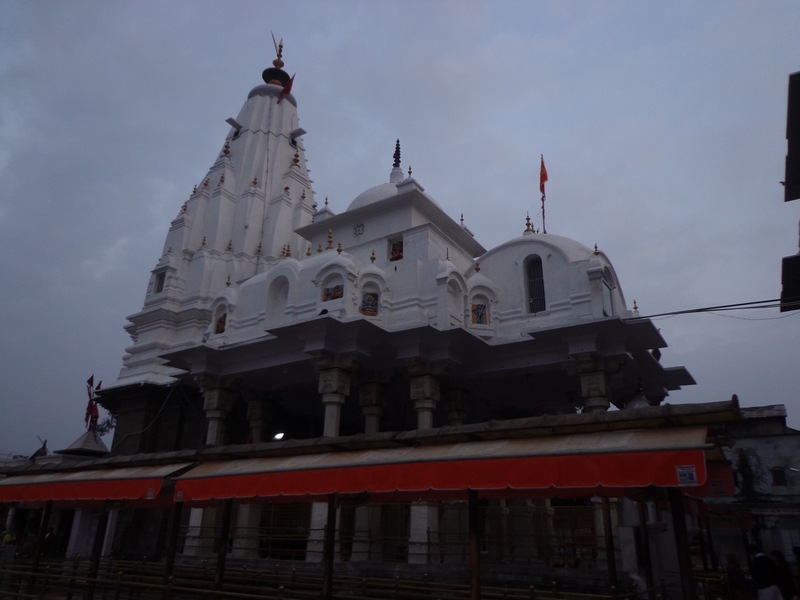 Also, unlike all other temples I had visited, this one had facilities that one expects from a place that expects crowd. I kept my shoes at a stall. When I returned, there was no one at the stall. I took my shoes and walked away. Then again it could have been anyone else walking away with my shoes. 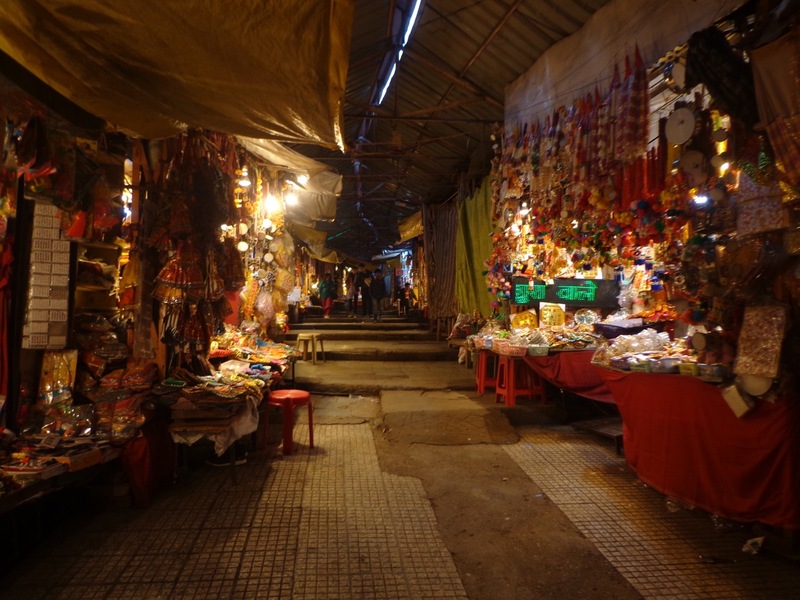 There is an entire economic ecosystem that thrives on the pilgrims coming to Brajeshwari Devi temple. The spire of the temple. Pilgrims had queued up to collect their offerings. 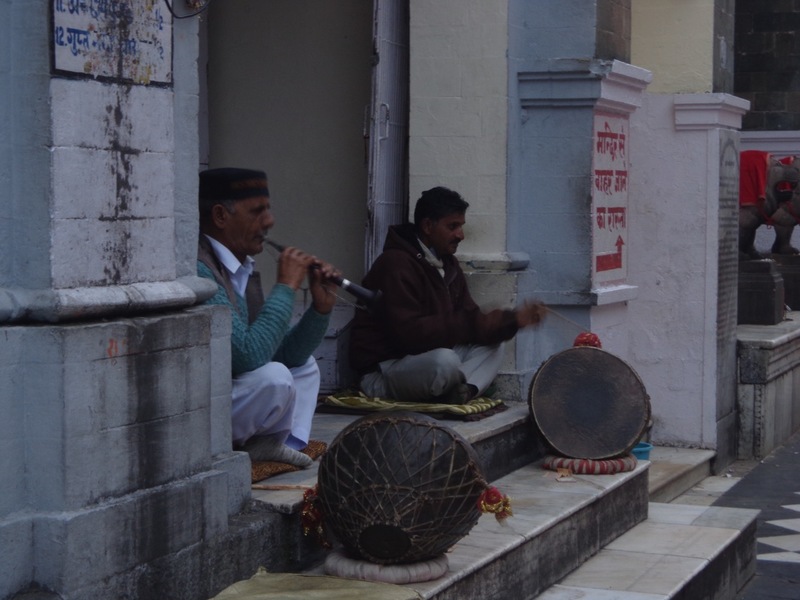 Two musicians playing in the courtyard. On my way back, I stopped at a crowded street food joint that sold Aloo Tikki and Burgers. Just like all street foods, the Aloo Tikki was tasty and unhealthy.